By providing on-demand heating of hot water as it’s used in your household, you avoid paying to heat water that sits in the storage tank until needed. Master Plumbing & Mechanical can help you select the right tankless water heater for your home, and provide top-quality installation. Tankless water heaters run on gas or propane and heat your water only when a faucet is in the “on” position. The chief benefit is that they do away with the need for a large tank to store hot water, but there are other considerations when deciding if tankless water heating is right for your home. A tankless water heater will provide a continuous supply of hot water. Tankless water heaters takes very little space compared to the hot water storage tank. Higher upfront costs for the unit and installation, due to special venting requirements of a dedicated, sealed vent to protect against the ill effects of natural gas. When multiple appliances are in need of hot water simultaneously, tankless water heaters may not provide sufficient volumes of hot water. However, if you choose an ENERGY STAR tankless water heaters, you’ll save significant amounts of money. 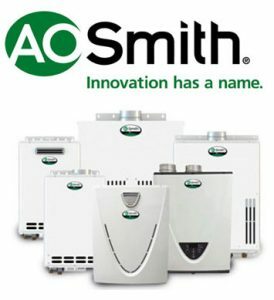 According to the Environmental Protection Agency’s ENERGY STAR program, if all residential gas tankless water heaters for sale in the United States had an ENERGY STAR certification, the energy savings would approach $215 million annually and subtract 1.8 billion pounds of greenhouse gases from the environment. Master Plumbing & Mechanical services the Washington, D.C. metropolitan area. Contact us for more information about tankless water heaters.